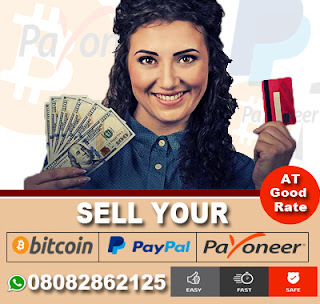 The Rivers state police command today arrested three persons in connection with the murder of a Jumia delivery man who had gone to deliver an iphone and a motorbike to a prospective buyer at a compound in the Ada-George area of Rivers state on Saturday March 25th. 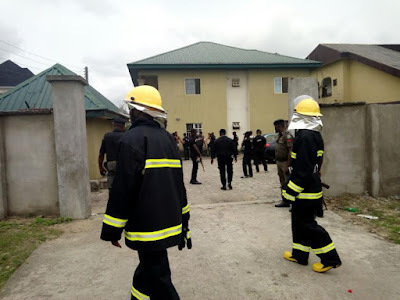 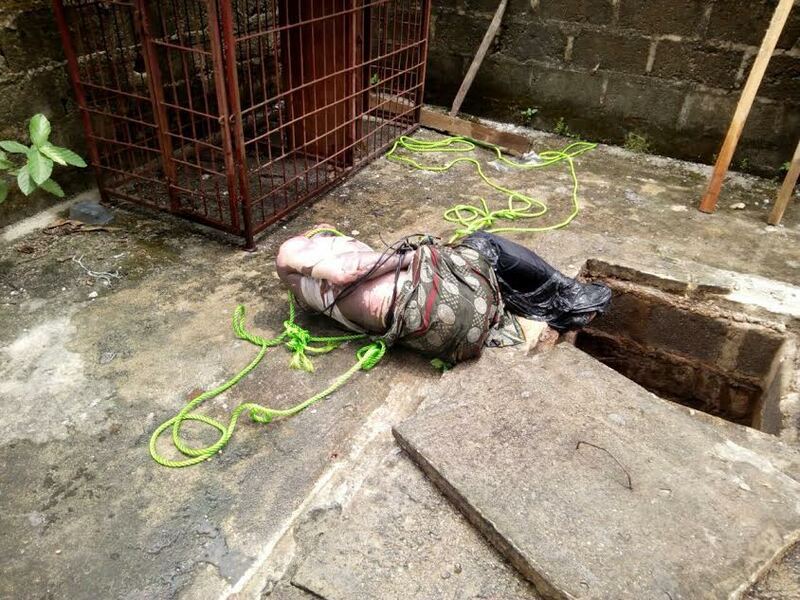 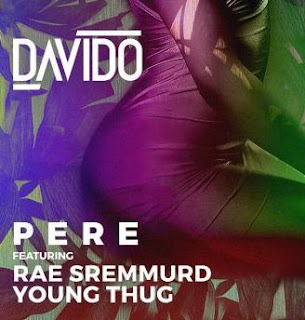 On Saturday, when the victim went to make the delivery at the address at Ada George Road, Port Harcourt, the suspects which included two males and a female, who never intended to pay, bound the man and threw him into a septic tank with the hopes that he would never be found. 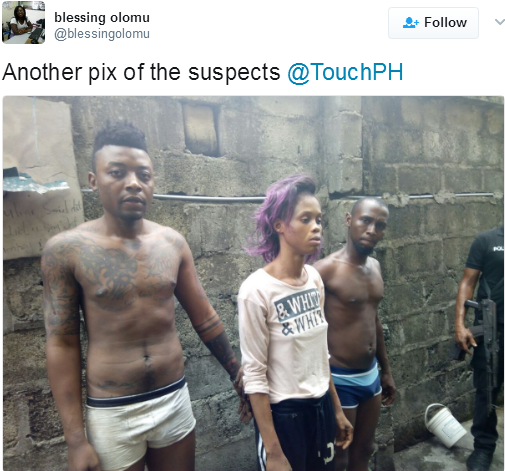 According to OAP, Blessing Olomu, who shared the story online, the victim's body was recovered by a team of police officers today after neighbors reported suspicious activities within the compound. 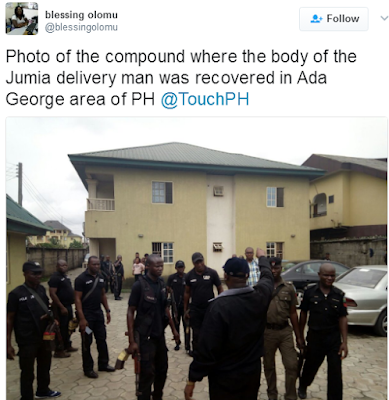 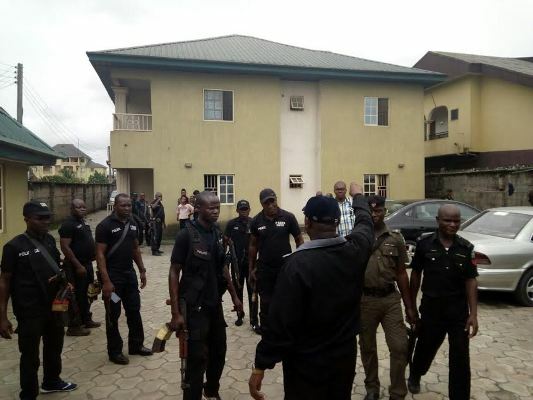 0 Response to "Rivers Police Arrests 3 for Allegedly Killing Jumia Delivery Agent"